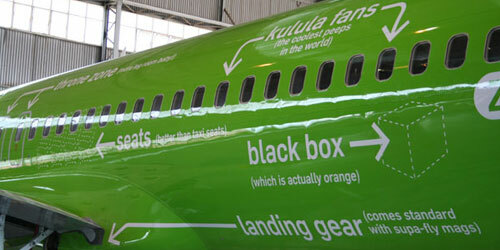 Kulula are a South African budget airline that are leading the way in garishly painted lime green planes and in flight humour. Have a look at some of the entertaining paintwork and in flight announcements that have been made and posted by appreciative passengers who have flown with them! “Please take care opening the overhead compartments because after a landing like that, sure as hell everything will have shifted!”. “Your seat cushions can be used for flotation. 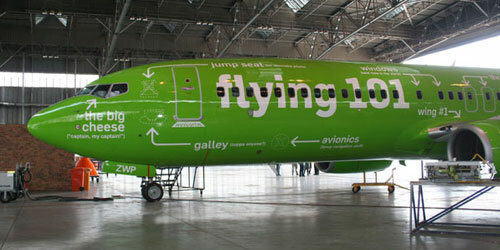 In the event of an emergency landing on water, please use them to paddle ashore and keep them with our compliments”. “Please take all your belongings with you when exiting the aircraft. 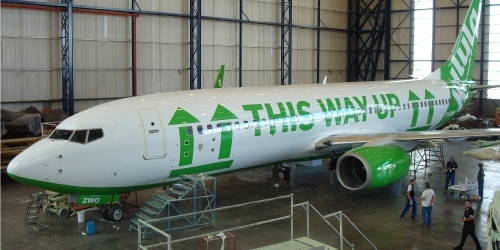 Anything left behind will be evenly distributed between the cabin attendants”. 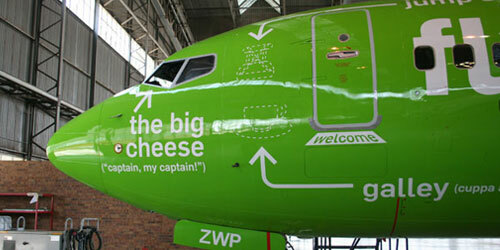 “Kulula is proud to have some of the finest cabin attendants in the industry working with us. Unfortunately none of them are on this flight”. 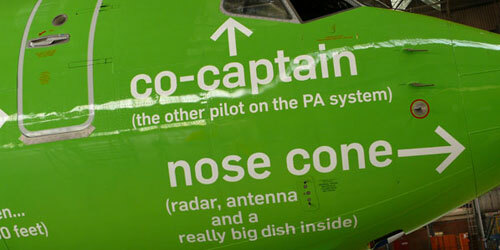 You have to love an airline with a sense of humour!